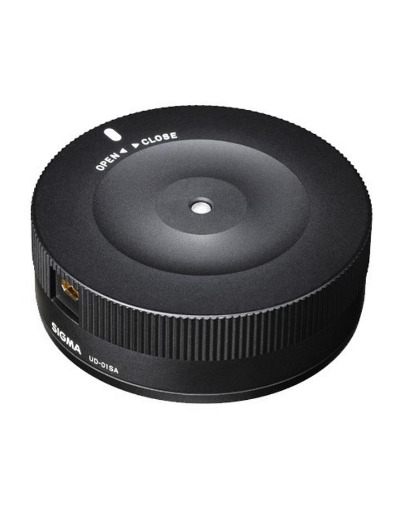 The Sigma USB Dock lets photographers to connect their SIGMA Art, Contemporary, or Sports lens to a computer, and update the lens firmware and adjust focus position and other parameters. Exclusive SIGMA Optimization Pro software makes customization easy. It is possible to select the autofocus speed and adjust the focus limiter and Optical Stabilizer (OS) function. Updating the firmware can be done via the internet (internet connection required). Sigma Photo Pro is available for Mac and PC computers. * Compatible with 24mm F1.4 DG HSM Art, 50mm F1.4 DG HSM Art, 24-35mm F2 DG HSM Art, 150-600mm F5-6.3 DG OS HSM Sports, 150-600mm F5-6.3 DG OS HSM Contemporary. **DN Lenses are not compatible with the USB dock currently.